Quilting is not the only thing that we find so much joy in doing. In fact, sewing, knitting, and crocheting are also part of the hobby list. I think that when we have extensive, crafty hobbies, we can take the crafts to the next level. How do we do that? Well, we can combine some of these techniques in order to create something truly special. Now, this is not always easy. So today there is a video tutorial on how to combine quilting and crochet all in one project. This twist is very cool! The video tutorial is called, “Fusion Crochet Tutorial. 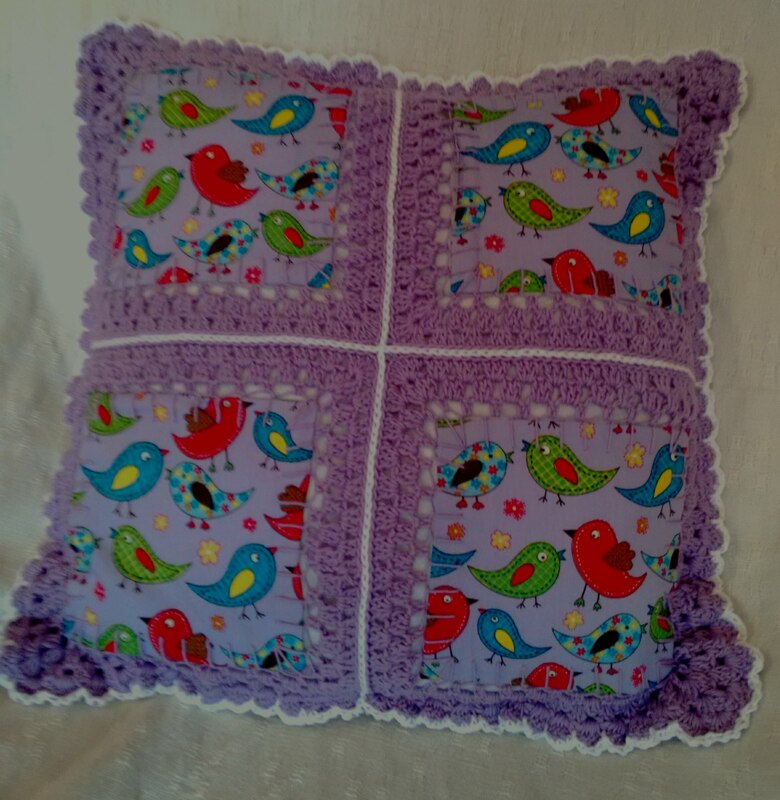 A patchwork and crochet technique.” and it is by Pookie Doodle Crafts. In the video we get some information and instructions on how to make a cushion cover, but this can also be used to make other things such as table mats, coasters, blankets, and bags! Before we really start we are going to need to gather some things. First, we will need our crochet tools; crochet hook and yarn and large eye yarn needle. Continue to the next page for the great tutorial! Amy Martinez you can quilt this.